At just 235mm in length the Microbar from Fabric fits easily into a jersey pocket, but inflates tires to 120psi. 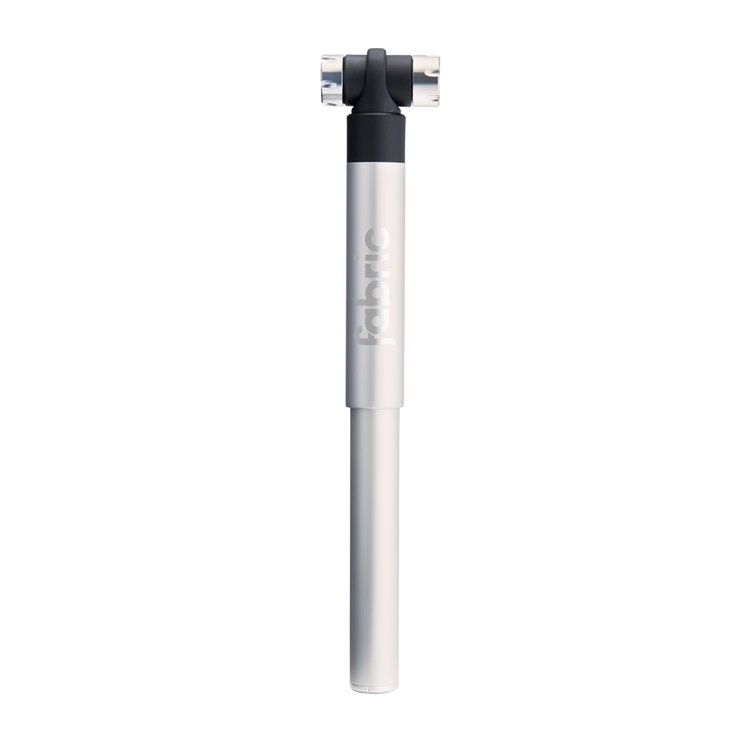 The Microbar pump provides much of the compactness and portability of the Fabric Nanobar with the greater efficiency of a longer pump. Able to inflate tires to 120psi, and with a host of innovative features, including a retractable head mounted on a flexible hose to prevent jarring and damage to the valve, the Microbar is a perfect companion for the serious road cyclist.